Google Now is already an unbelievable tool of our daily lives, helping us get things done much easier. But with this new application, it will become even more useful for Android users. 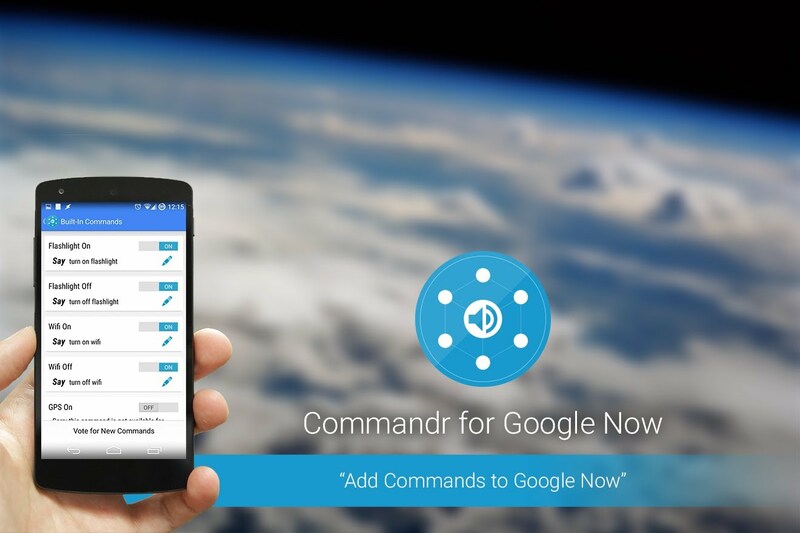 The new Commandr for Google Now app for Android users is a real booster for Google Now user, as it adds a plethora of new commands to Google Now, without having to root the device at all. It has already received plenty of great reviews from the community and those who have downloaded it are very pleased with its performance. With this app, it’s possible to use Google Now to control your flashlight, toggle settings, control music playback and other features. You can even add your own custom commands through Tasker and there’s the option to vote or to suggest for new ones yourself. Commandr won’t slow down your phone or your boot, and you will have to set it up only once. - Any Tasker command you can dream of! The app has been developer by +Ryan Senanayake and designed by +Adriano Loiacono. So, if you want to add some extra features to Google Now, go ahead and download it. Let us know in the comment section about your experience and other thing!